Bolivia, which is officially known as the Plurinational State of Bolivia, is a country that is located in central South America. It is also notoriously the poorest country in the South American region. As a result of this, tourists often get to see strikes conducted by the local population against the poor conditions in the country. However, being a poor state and some protests does not mean that Bolivia has nothing to offer to its tourists and other visitors. The country is still an undiscovered land by travelers and adventurous types are definitely going to enjoy the region because of its top spots. Sites include the La Pez, which is the second highest city in the world, and exciting attractions like the famous Death Road. If you are willing to go off the beaten path with these exceptional sites and the diverse culture of Bolivia, below is a guide to help you get a tourist visa for the country from London. Folks, who are looking for visa application of Bolivia can get it either from the Bolivian Consulate in London. 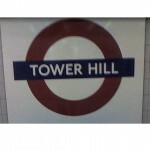 Download visa application form from here. 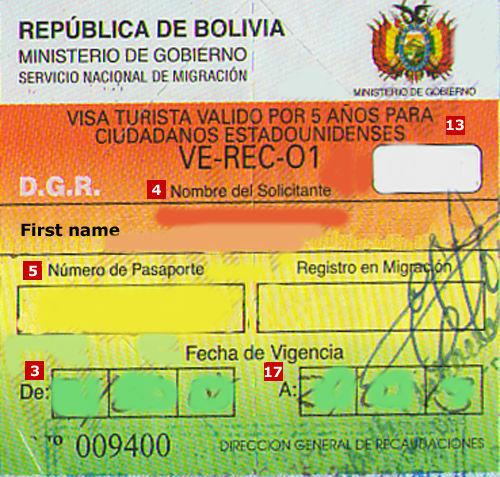 The tourist visa of Bolivia is classified into three groups. First group comprises of those countries which do not need a visa to enter Bolivia. This index includes the name of United Kingdom as well. However, group 1 should have a Certificate of vaccination against yellow fever and a valid passport with at least 6 months validity to enter in Bolivia. Second group is of countries that require visa to enter Bolivia. Following are the requirements they need to provide to get the tourist visa of Bolivia. 1. Completed and signed visa application form. 2. Travel tickets or itinerary (route). 3. In case of staying at a private place or with a friend or relative provide an invitation letter, which must specify the address of applicants stay. OR provide hotel reservation details. 4. At least one month old bank statements. 5. Yellow fever certificate of vaccination. 6. Minimum six months valid passport. 7. Two passport style photographs. Third group is of countries which require MIGRATION NATIONAL CONSULTATION prior to enter Bolivia and have to fulfill all above requirements. In addition to that they also need to do the following. You can check following link to know more about it. Note: All applicants must attach original and photocopies of all documents. Tourist visa fee vary on the basis of nationality therefore, enquire at the Embassy or Consular section at Embassy in London to get information about fees for your country. Consulate of Bolivia accepts payments only that are made ​​by bank deposit or transfer to BBVA. Deposit or transfer your visa fee in this account # 005681700 - Bolivian Consulate, 142 Brompton Road. Payments made by cash or cheques are NOT ACCEPTED. You can submit your form personally by visiting Bolivian Consulate in London. Normal tourist applications of nationals are processed within 1 to 2 days and these requests don’t need special authorisation as well. As far as non-nationals’ tourist visa applications are concerned it takes nearly 6 weeks times and special authorisation from the Bolivian Ministry of Foreign Affairs. When your application is accepted, the Consulate will grant you the tourist visa and you can collect it from where you have submitted it. Original documents will also be returned to you along with the visa.